If you don’t know the story of Frankenstein, then you have probably been living under a rock your whole life. Frankenstein (1931) is as classic as a movie can be. There have been countless remakes and rip-offs of this legendary film. I, Frankenstein takes the iconic character, Frankenstein, and throws him into a story that is so different from the original that it is a travesty in filmmaking. Sometimes, I understand the need to remake a film, but when you remake a classic, it is better to pay homage to the original instead of dragging its name through the manure behind your high horse. It appears like this is exactly what Hollywood has done with Frankenstein. Somehow, the film tells the story of how Frankenstein (Aaron Eckhart) gets caught up in a war between two groups of immortals. Did I mention that the war has gone on for hundreds of years? The movie was directed by Stuart Beattie and the rest of the noteworthy cast includes Yvonne Strahovski, Bill Nighy, Caitlin Stasey, Jai Courtney, Miranda Otto, Kevin Grevioux, Viginie Le Brun, and Aden Young. 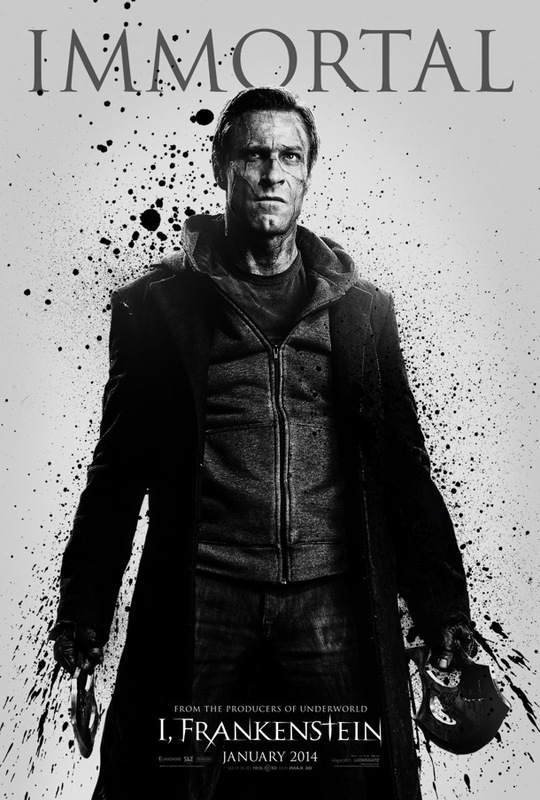 As much as I like Aaron Eckhart and Frankenstein, this movie just looks like a monster that should not be unleashed on the public. The film is set to release on 1/24/14.